Following the success of the hugely popular 1000 Dot-to-Dot books, we now bring you The Amazing Marvel in 1000-dot-joining fun. 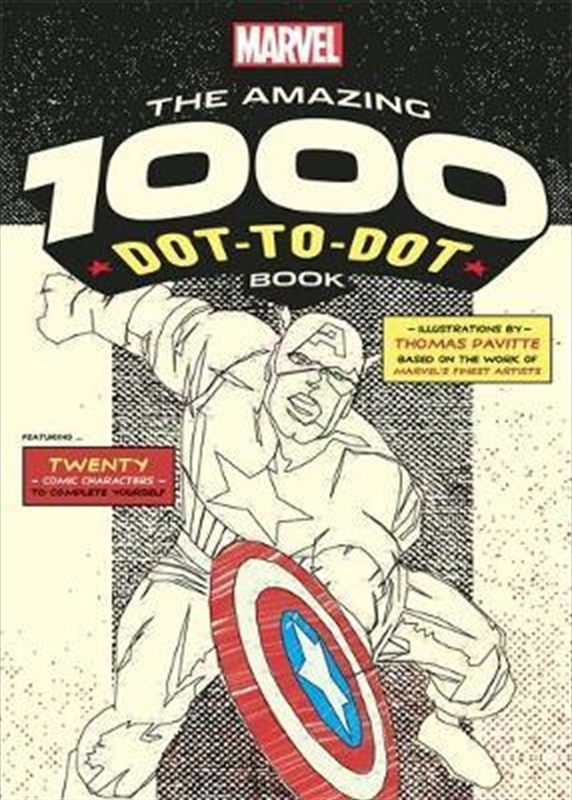 In the 20 satisfyingly complex dot-to-dots in this book, you will discover Iron Man, Spider Man, Hawkeye, Thor, Ant Man and Captain America, among others of your favourite comic book characters. Comics are more popular than ever, and here you will discover dot puzzles based on the original characters created for the Marvel comic range. A perfect gift for your comic-loving friend, or a mindful pleasure to wind down with in the evening, these puzzles will bring you hours of dot-joining pleasure.